Area:Land 2934 km². Freshwater 10 km². Exclusive economic zone 120,000 km². Terrain: The interior of the two main islands, Upolu and Savaii is rugged and mountainous with steep slopes descending from volcanic crests to a narrow costal strip 4-5km wide. Climate: Tropical maritime. Wet and dry seasons from November-April and June-October respectively. Annual sea surface temperatures 23°-29°C. Rainfall 2500 mm at lower elevations to 6000mm at higher elevations. Geography: Occupies an almost central position within Polynesia. Economy: Important export commodities include fresh fish, garments, beer and coconut cream for export revenue. Other important products include taro, kava and copra. Fresh fish exports and agricultural produce contribute to the GDP significantly in the primary sector. In 1954, the potential of aquaculture was investigated by SPC. It recommended African tilapia (Oreochromis mossambicus) for fish pond culture which was then introduced for farming in 1955. Fisheries Division in 1991 introduced Nile tilapia (O. niloticus) also for culture purposes with funds from the South Pacific Aquaculture Development Project (SPADP). An experimental turtle hatchery was developed for a hawksbill turtle headstart programme in 1970 in efforts to improve the hawksbill turtle population in the country. Results were encouraging but poor hatchery management, lack of funds and land disputes brought the project to an end in 1983. In the same year Food And Agriculture Organisation (FAO) investigated aquaculture potential and recommended a thorough study of the freshwater shrimp population in the river systems, a hatchery that be established to study macrobrachium spp., and that the industry be developed utilising existing freshwater systems. Seaweed (Kappaphycus alvarezii) were introduced in 1975. Culture trials by Fisheries Division recommenced in 1991. Green mussel (Perna viridis) spat was imported by an aquaculture team from the Centre National pour l'Exploitation des Oceans (CNEXO) and Centre Oceanologique du Pacifique (COP), Tahiti, in 1982 after investigation in 1981 to look into the possibility of culturing mussels. Failure of trials in 1982 led to another importation of P. viridis spat in 1983. Culture trials revealed good growth and its potential as a cash crop despite poaching at the culture sites. FAO/UNDP funded pilot culture trials for topminnow (Poecilia mexicana) for the pole-and-line fishery for skipjack, which commenced in 1978. Polyculture of topminnows, tilapia, shrimp and prawn was also carried out but was most effective when mixed with milkfish. The project was abandoned in 1983 as it was not economically feasible. 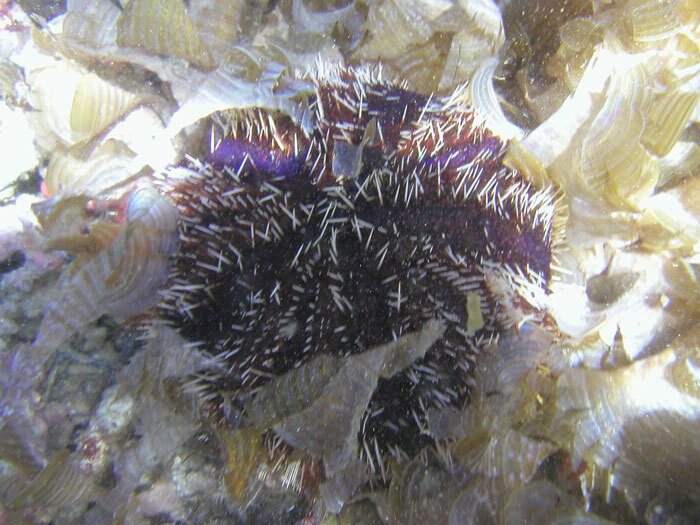 Post-larvae Macrobrachium rosenbergii and Penaeus monodon were imported from Tahiti for experimental culture and were successfully propagated at the Fisheries hatchery in 1980. Culture ponds were constructed. Economic studies of culturing freshwater prawns were not completed and by 1987 the project came to an end due to a lack of interest by those with potential sites. Giant clam culture began in 1982 with Tridacna derasa imported from Palau. A private commercial giant clam operation was set up in the same year but was closed down after two c onsecutive cyclones in 1990 and 1991. Fisheries Division initiated a giant clam restocking programme in 1988 but losses were high due to cyclones in 1990 and 1991. The Giant Clam Rehabilitation Programme imported clams from Fiji with funding assistance from SPADP. The Giant Clam Stock Enhancement Programme for grow-out in village lagoons under Australian Agency for International Development (AusAID) funding was initiated in 1995. In response to dwindling local stocks, the Fisheries Division Toloa Giant Clam Hatchery was established in 2000 for seed propagation and stock enhancement purposes. Culture trials of the Pacific oyster Crassostrea gigas were implemented in 1990. Growth results were high at the culture sites and several markets both local and overseas were identified. Constraints during the culture period were lack of manpower, lack of transport, and poor management and maintenance of the trial. Several recommendations for improving culture techniques and management of this venture were suggested. This was recognised as one of the priority projects for Samoa. Trochus niloticus was introduced by FAO in 1990 for seeding in Samoa. Insufficient numbers of shells were introduced and it was considered not feasible to establish a fishery. The freshwater crayfish redclaw (Cherax quadricarinatus) was introduced by a private entrepreneur for commercial culture in 1993 together with C. destructor. The burrowing nature of the latter caused pond damage and was not reconsidered for farming. Culture trials resumed with a second introduction in 1995 of C. quadricarinatus and successful propagation at the Fisheries hatchery. Growth was reported as excellent but management was not adequate. It was recommended that a hatchery should be established, as overseas supply was costly, and that farming should be continued. Bivalve translocation trials were initiated in 2000 for Gafrarium tumidum, Anadara antiquata and Asaphis sp. and were completed in 2001. Gonad development was assessed. It was recommended that proper assessment of the sites prior to stocking and sufficient seedstock be translocated. Stock enhancement of giant clam, which had been initiated earlier by SPADP and Fisheries Division, was continued by the AusAID funded Samoa Fisheries Project. The programme began with introductions of Tridacna sp. and Hippopus hippopus from American Samoa and Fiji for grow-out in village lagoons in the Fisheries Extension Programme. A giant clam hatchery operated and managed by Fisheries Division was established for seed propagation and stock enhancement. There is a small-scale, private, giant clam hatchery targeting the ornamental aquarium trade. The Fisheries Division propagates tilapia (Oreochromis niloticus) for stocking of small-scale private farms. It was initially introduced as an alternative to supplement overfished reef stocks and currently is utilised by subsistence fishers. No commercial farm exists. The Fisheries Division is conducting mudcrab feasibility farming trials to look into alternative income generation for subsistence communities and/or individuals.